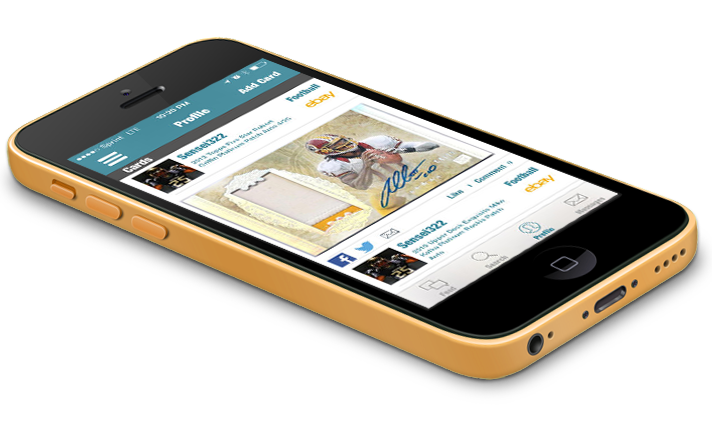 Organize your baseball card collection online with Sports Card Album. 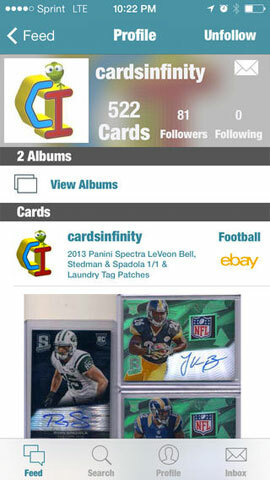 Free iPhone and Android apps for sports card collectors. Sports Card Album is a photo management site made for sports card collectors. Organize, manage, and share your card collection with our free online tools and mobile apps. 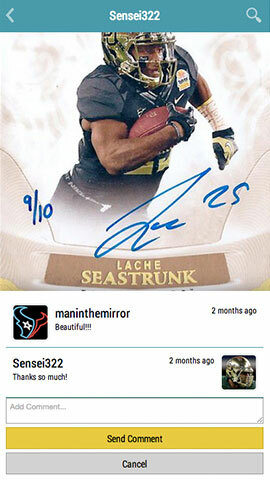 New features are constantly added to Sports Card Album based on the input we receive from collectors everywhere. Take a picture, edit card details, browse your collection. Organize your cards into albums, link friends to specific albums. Instantly copy IMG codes and album URLs and share your collection with friends. Browse through the live feed and see what other collectors are uploading in real-time. 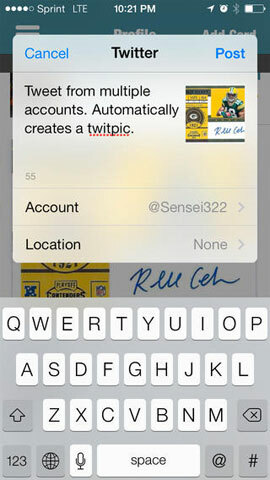 Easily share your cards via Twitter, Facebook, etc. 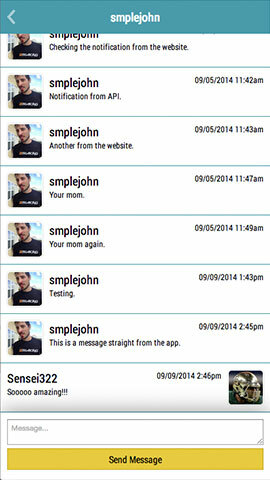 Follow your favorite users and comment, like and share their cards. 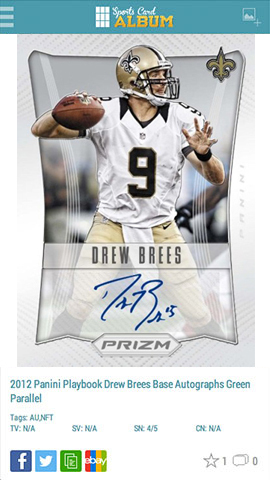 Sports Card Album is sports card organization software that rocks. Open the Sports Card Album app and click "Add Card"
Add something on your mobile device and you'll see it on your computer instantly. Add multiple of cards at once via your computer. Edit multiple cards at once via your computer. Manufacturers, Group Breakers, and Card Shops are all using SCA to show off their cards. 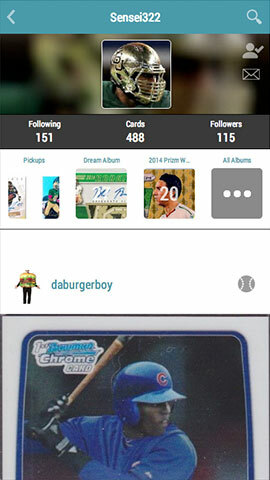 How exactly does collecting sports cards on a mobile app work? Check out our demo video and see. I've been waiting for this app forever it seems, but it was all worth it! The feed flows spectacularly auto refreshing itself, uploading and editing are simple, and sharing your albums and cards with friends and traders on social networks are effortless! 5 starts all day!! This app and the associated website has changed my collecting. Now no matter where i am, i can see my cards and see what i already have, make trades, and sales! Literally best thing to happen to collecting in 50 years!!!! A++++. A true 1/1! Happy its on android now Very easy to use. If you collect card or memorabilia this is for you. 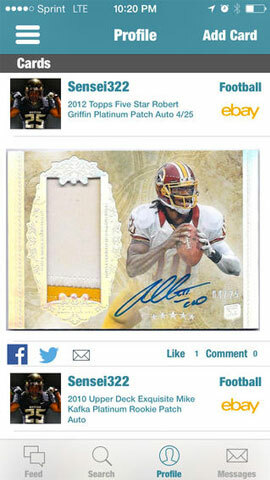 We are always availalbe for comments or questions @sportscardalbum or facebook.com/sportscardalbum. Copyright 2013 - 2014, Album All The Things, Inc.